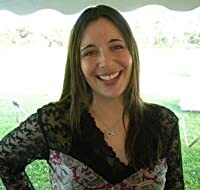 Today, we have author Jill Winters featured on the blog’s ‘Indie Saturday‘ (Ms Winters previously published under the Penguin Group before going indie). She writes about the first book from her Big Clock Mystery series “The Unprintable Big Clock Chronicle” (Available at Amazon). This fast-paced and breezy fun caper should be a good break for mystery lovers in between Christmas and New Year’s! People close to me know that I’m pretty much obsessed with Christmas. I look forward to it all year long–but like most people who love Christmas, I find it impossible to put its essence into sufficient words. The most I can do is rattle off a list, but it still can’t begin to capture the ambiance and emotion of the season. It’s more than anticipation or lights or the candy canes and iridescent icicles I hang on my tree. It’s the way everything seems to shimmer. It’s the prospect of baking without guilt and watching each year’s new crop of made-for-TV Christmas movies (yes, I’m a homebody–can you tell?) Of course having spent most of my life in the Northeast, I have a love-hate relationship with watching snow pile up outside my window (snow always seems more lovable when it’s not impeding my car). Still, nothing makes the world seem cleaner like a white Christmas. This is why when I was seeking inspiration for my sixth novel (after a long break from writing–my last novel was published in 2006), my decision to set the story at Christmastime was almost immediate. What more appealing way for me to dive into the world of Caitlyn Rocket–my grad student/part-time news reporter heroine–than to put her smack in the middle of the wintry holiday spirit I love most? So the story unfolds in Big Clock, Minnesota–a small, fictional town with blankets of snow and an old clock tower at its center. When I set about writing The Unprintable Big Clock Chronicle, I wanted Caitlyn to be at the center of a really good mystery. What I mean by that is a clever mystery–a genuine puzzle that, hopefully, would capture the reader’s mind. Like Christmas, mysteries are another great love of mine. But I’ve never cared much for mystery plots that revolve around a handful of murder suspects, each one with a clearly outlined motive, and a linear, rather predictable path of eliminating them one by one until we’re left with the culprit. Maybe it’s from reading so much Agatha Christie, but I always strive for something more. As a reader, what makes a book memorable for me is not simply the identity of “whodunit,” but the dexterity with which Christie (and other greats) weave red herrings and clues together, and still bring their characters to life. The way they can fool me. A favorite mystery of mine is The Window at the White Cat by Mary Roberts Rinehart, in which nothing is exactly as it appears and therefore no matter how intelligent the hero is, the right questions to ask are always just outside his reach. While my previous books balance romance and mayhem in equal parts, The Unprintable Big Clock Chronicle presents a mystery that moves along, uninterrupted. What starts as a wager between Caitlyn and her boss at the local newspaper, snowballs into a rather involved–and at times comical–investigation. Not only does a “simple robbery” reveal itself to be something more, but in fact, the “crime” as Caitlyn understands it, changes several times over the course of her discoveries, before she is finally able to make sense of everything. Along the way, you see the kind of person she is–sweet, fallible, privately sarcastic, probably not the best reporter, yet undeniably resourceful at times. She can be quite an entertaining person to know, which is why I didn’t want to say goodbye to her at the end of the novel and decided to turn her life in Big Clock into a series of books instead of just one. As always, I love to hear from readers and definitely welcome your thoughts. Feel free to email me via my website (www.jillwinters.com), or visit me on Facebook. **Also, if you go to my Facebook page you can enter a giveaway drawing for a free book! Jill Winters has published five novels with the Penguin Group, which have been featured on Barnes & Noble’s Bestseller Lists and Booksense’s Top Ten. Her debut novel, Plum Girl, was a finalist for the Dorothy Parker Award of Excellence. The Unprintable Big Clock Chronicle (Big Clock mystery #1) by Jill Winters is available at Amazon in Kindle or paperback format. Jill Winters has also reissued most of her backlist, originally published by Penguin Group, on Amazon and Barnes and Noble.com. You can also check out her Amazon author’s page for a list of all her books. More info also available at her website, Facebook (where you can enter a drawing for a free signed copy of The Unprintable Big Clock Chronicle) and interact with her via Twitter! Read an embedded sample of “The Unprintable Big Clock Chronicle” after the jump! Have read all of Jill Winters books. This one was definitely my favorite…it kind of reminded me of those cozy mysteries they show on the Hallmark Movie Channel around xmas time. I can’t wait to read book #2 in the series! (Video) Adam Lambert at the 2011 Amway Leadership Seminar (Shanghai, China) via Adamholic FREE Amazon $10 Credit for Kindle e-Textbooks Downloads!